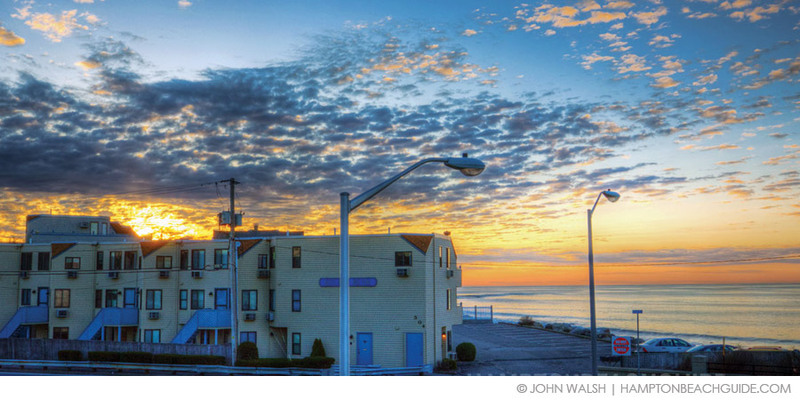 Here’s a how-to-guide for searching for a year-round Hampton Beach rental apartment. Be willing to consider many different types of apartments and you can afford to live on or near the beach on the New England seacoast. When searching for a year-round beach rental apartment on the New Hampshire seacoast, it’s important to approach the process methodically. There are a number of traditional apartments available for rent, but there are other options too. So the first step before you even begin your apartment search is to be willing to look at many apartment possibilities. This will greatly increase your chances of finding an affordable apartment on the beach on the NH coast. Most people would love to live on the beach, but the closer you are to the beach the more expensive apartments tend to be. So you need to decide how important it is to be right on the beach. You can find great apartment deals by considering places within walking distance of the beach instead. Here’s how you can find apartments that fit your budget. When you are looking for a year round beach rental apartment, even the type of beach will affect the rental rate. For example, an apartment on a rocky coast in Rye, NH where swimming may be difficult might have a lower rental rate than an apartment on a sandy Hampton, NH beach. Along the New England coast there are coves, river mouths, sandy beaches and rocky coast. Apartments in popular tourist spots may be more expensive than apartments 5 miles away in the smaller next town. By simply being willing to live in a smaller quieter location, you might find an affordable apartment easier to locate. Everyone knows beach apartments can be expensive, but that doesn’t mean you have to settle for less. There are so many different types of apartments available for year round rental. By including all of them on your list of possibilities, by networking, and by taking advantage of a real estate rental management company, you’re sure to find the perfect rental.